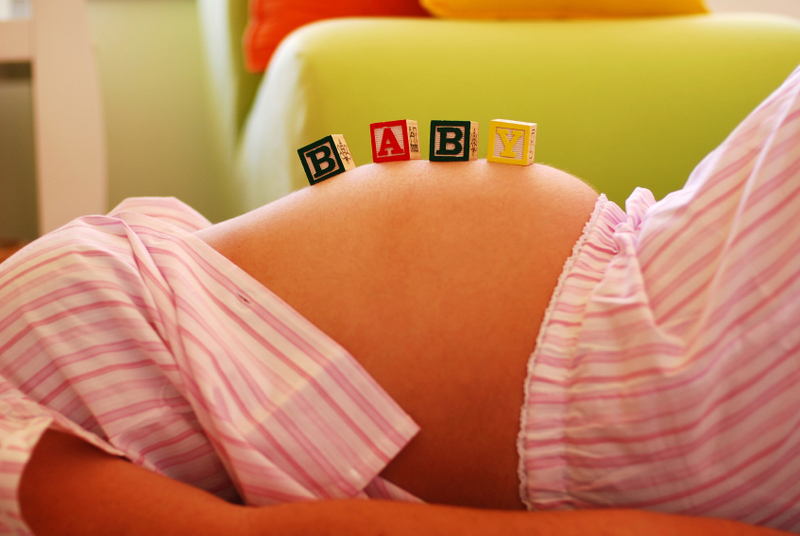 When it comes to flowers and gifts for pregnancy, you have many different options to consider. Some gifts are sweet and sentimental, while others celebrate the more humorous aspects of motherhood. Just like when you're shopping for other occasions, it's best to choose a gift that fits the recipient's personality. Congratulate an expectant mother with a bouquet that includes teddy bears she can use to decorate baby's nursery. A Willow Tree figurine is a lovely way to commemorate the announcement of a pregnancy and could easily be worked into a floral arrangement if you wish. The company also makes many mother and child figures to celebrate the day when baby actually arrives. Journals featuring the artwork of noted photographer Anne Geddes provide a special place for a woman to record her thoughts on pregnancy and motherhood. For your extremely organized friends, 40 Weeks +: The Essential Pregnancy Organizer provides a handy way to keep track of all the tasks that need to be completed before baby arrives. Made with certified organic ingredients, Mambino's "Bun in the Oven" gift set is a great choice for the pregnant woman who loves to pamper herself. Preggatinis: Mixology for the Mom-to-be is a fun book for the expectant mother who is well-known for her love of good cocktails. The non-alcoholic drinks in this book are delicious enough that dad might want some, too! Tummy Tatts are temporary tattoos with pregnancy-themed sayings and designs. They're the perfect gift for an expectant mother who is proud of the changes in her body! For more ideas on flowers and gifts for pregnancy, please review the LoveToKnow Pregnancy article Gifts for Pregnant Women.